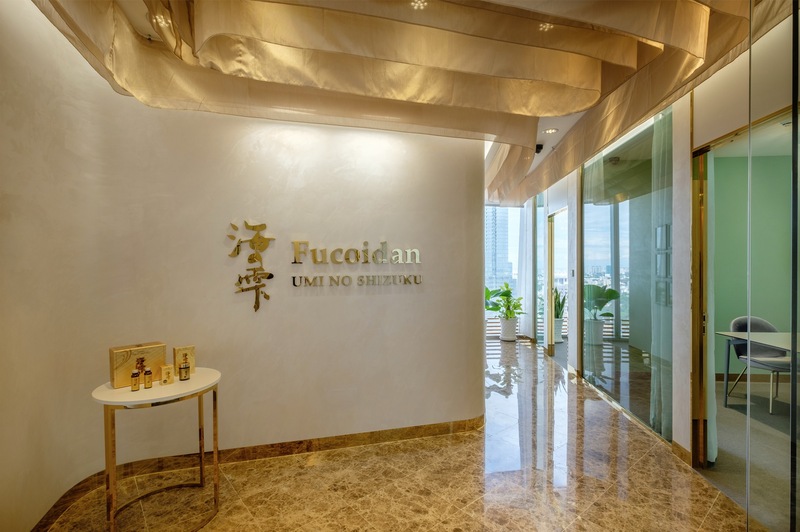 (Umi no Shizuku) is a health supplement fortified with ingredients blended from renowned Japanese constituents “Fucoidan” as the chief ingredient, which itself is made from highly sought after Japanese seaweed extracts from the Mozuku and Mekabu variety. In this occasion of the client’s Ho Chi Minh Office relocation, a good opportunity has presented itself for reaffirming their exclusive brand image, which is backed by high quality products on a different level from similar Vietnamese local brands. 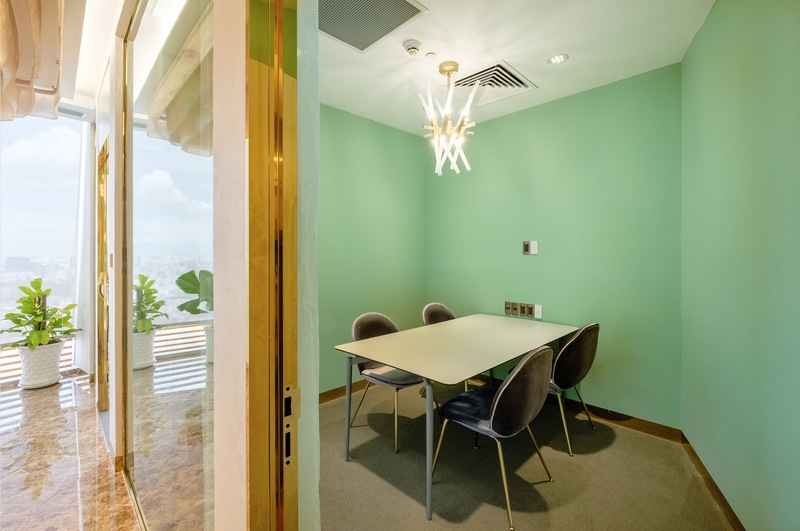 This space also reflects those qualities by creating a calm and soothing atmosphere to be used for effective business meetings. With the idea of using essences of various treasures of the sea as the underlying concept, the interplay of layers of sheer curtain has been used to establish unique environment. The reflections of light on the plastered wall then follows the random nature of flowy fabric, bringing to mind the graciously flowing figure of seaweed in its habitat. 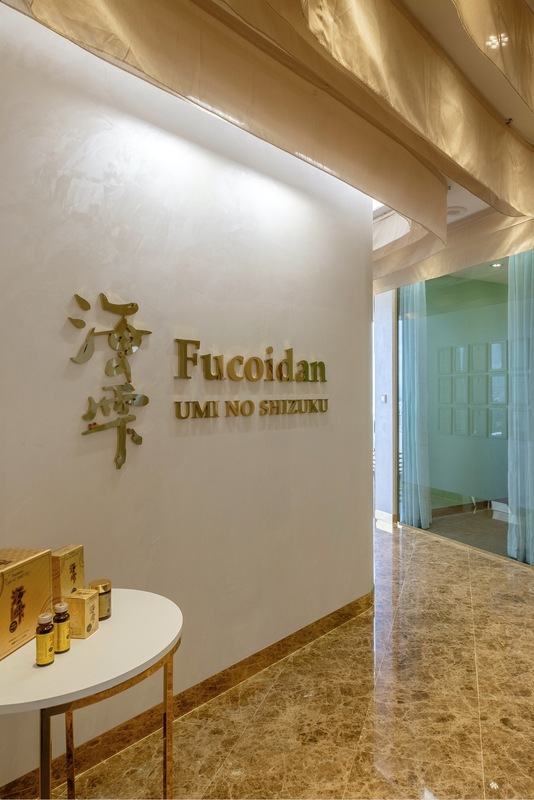 The resulting architectural space is both a complement to and a final touch to the story of the (Umi no Shizuku) product, rendering a soothing place from nature which comes alive for the visitors to make use of during their appointment time.